Because I meet with so many couples, I get to see so many different styles of weddings. From modern to classic, to elegant to rustic…I get a variety each year. And maybe that’s why I love doing what I do. Every wedding is different. 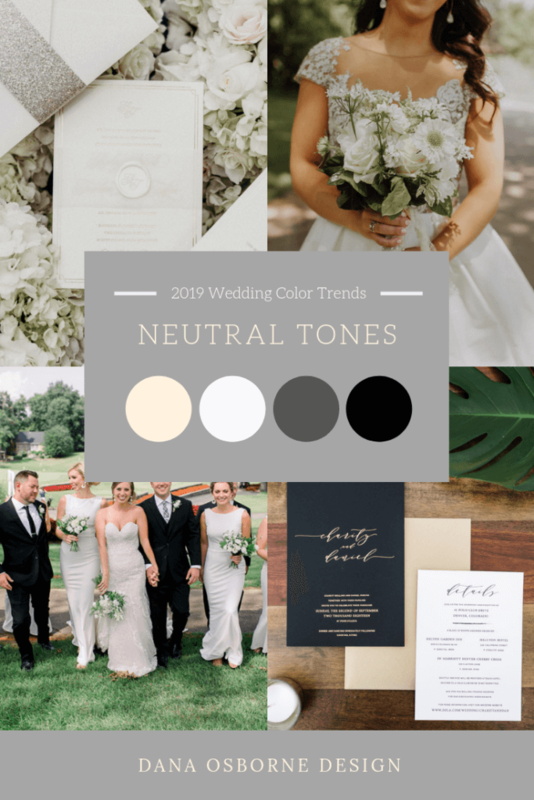 As the year creeps into core wedding season, I wanted to talk about my favorite color trends that I’m seeing for 2019. It’s a trend that is sticking around for 2019 and that’s letting the wedding be beautiful on it’s own. No pops of color, no bold moves…just setting a neutral tone with everything and letting the venue speak for itself. 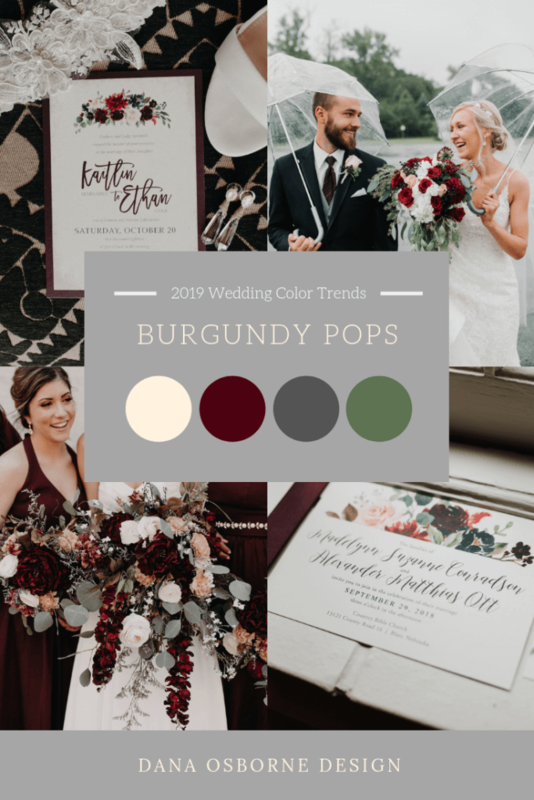 I’m seeing more and more burgundy (or wine color) come into color palettes this year. I felt it was something new in 2018 and this year, it’ll be even more popular to bring this deep, dark color into different color schemes. Again, I saw this as a trend making traction in 2018 and it will really be used for 2019 in the Midwest. 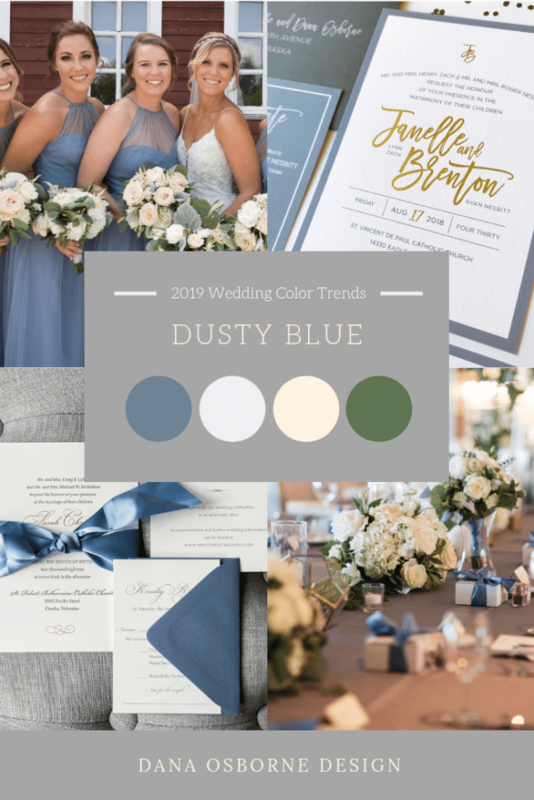 I love the color combos being used with Dusty Blue as well as just taking that color and running with it. 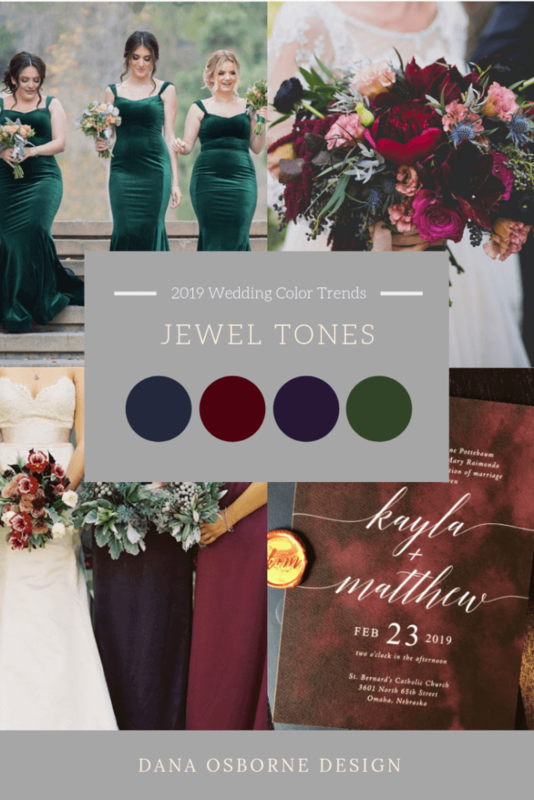 Dark, deep jewel tones are exactly opposite of the neutral, blush and gold trend that has been hanging around for a few years. 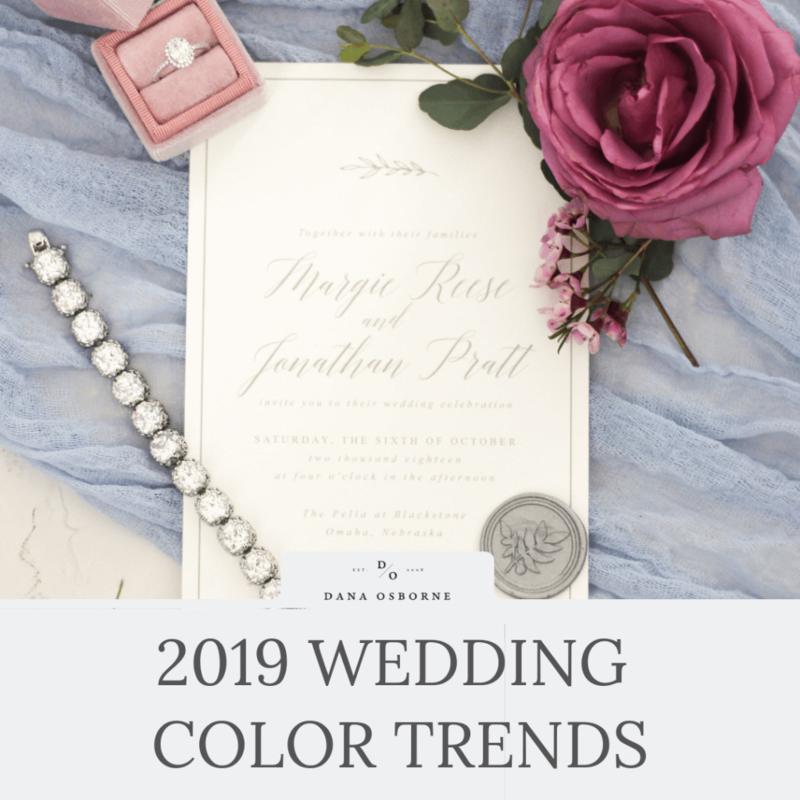 These bold colors will be what 2019 has been needing and in my opinion, will stick around for the next few wedding seasons. I’d love your opinion as well! What trends are you seeing and what are you looking forward to in 2019?